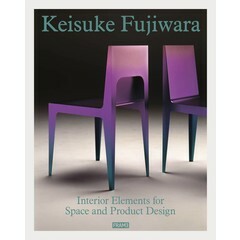 The evolution of Jo Nagasaka’s design process is unveiled in a unique publication about his practice. 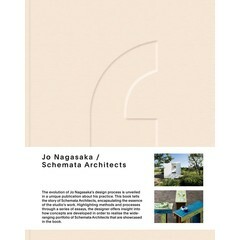 This book tells the story of Schemata Architects, encapsulating the essence of the studio’s work. Highlighting methods and processes through a series of essays, the designer offers insight into how concepts were developed in order to realise the wide-ranging portfolio of Schemata Architects that are showcased in the book. Nagasaka’s focus is often drawn to tired, found objects or unused spaces. Through investigations to seek modern solutions and pioneering re-purposing techniques, he manages to transform interiors and breathe life back into objects. His projects range from large-scale installations and interactive interior environments to smaller-scale products. Revealing insights into his way of working, the book highlights new findings about how the designer is able to capture the essence of his thoughts and relate the key aspects of a project in creative and innovative ways. 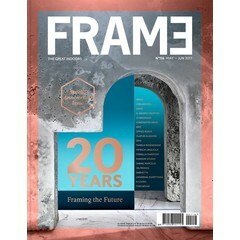 The articles emphasise the designer's concepts, giving unique insight into the firm's process from the designer’s perspective. Jo Nagasaka was born in Osaka and brought up in the Chiba prefecture of Japan. He studied architecture at Tokyo University of the Arts and, after graduating, he established the office Schemata Architects in Tokyo. 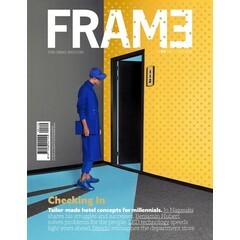 The studio’s ever-expanding portfolio covers projects such as residential and retail interiors, exhibition stands and art installations, bespoke furniture, hotels and public institutions. Readers gain complete insight in the working methods of Jo Nagasaka, the founder of Schemata Architects based in Tokyo, Japan. In-depth features of the different projects ranging from exhibitions and furniture to retail and residential. In the essays, there is a focus on Jo Nagasaka's personal journey to realise his studio's projects, which are listed in the second part of the book in chronological order. The articles emphasise the designer's concepts, giving unique insight into the firm's process from the designer’s perspective. Large selection of beautiful project photography, visually illustrating the transformation of spaces or furniture. Jo Nagasaka will be promoting the book throughout 2017.